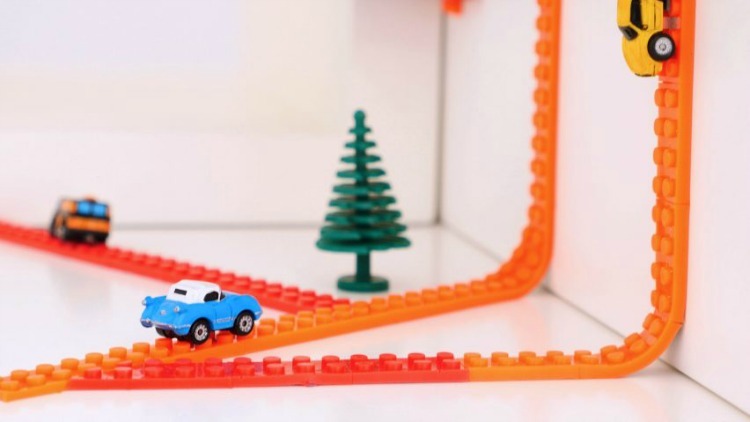 LEGO lovers can now have LEGO creations adorning pretty much any surface they desire thanks to the awesome “Nimuno Loops – The Toy Block Tape”, posted to INDIEGOGO! This tape is LEGO compatible, can be stuck to pretty much any surface (like ceilings, floors, around corners, up walls, and even onto people! ), and received an incredible amount of support from the crowd-funding site it launched on. It’s initial goal in order to become a buyable product, was $8000, but smashed that aim ten-fold with a total of AUD $1,644,032 raised thus far. According to INDIEGOGO, the tape is also compatible with “Mega Bloks, Kreo and most major toy building block systems”, and can be cut and bent to suit your little LEGO lovers’ imagination. The product will ship worldwide, with orders placed now set to arrive in August 2017. It comes in a range of colours (green, blue, grey, red, black and purple). There are a range of different packs available for pre-order including the Distributor Perk #2 for $3900 (1050 rolls included!) all the way down to 2 rolls of any colour for about $17. You can order it online now.